The holidays always seem to approach faster then we expect. 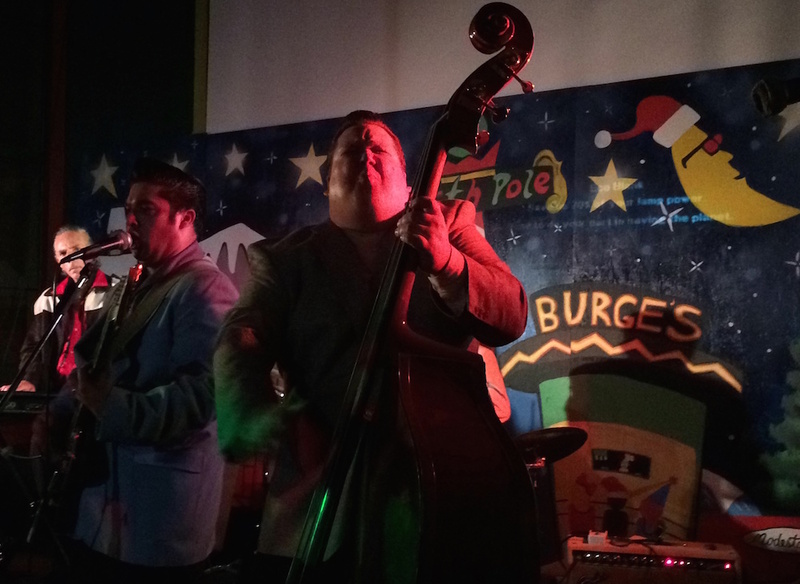 This year ModestoView Rockabilly scene teams up with the City of Modesto to bring you and yours holiday tidings starting December 6th, after the downtown Rock’n Holiday Parade. We will be rocking the holidays on 10th Street Plaza at 7:30 p.m right After the tree lighting. Hi-Ho Silver recording artists, the Honey Shots, Rockin Rick and the Rhythm Wranglers, Geronimo and the Scalpers will be entertaining you in the plaza. 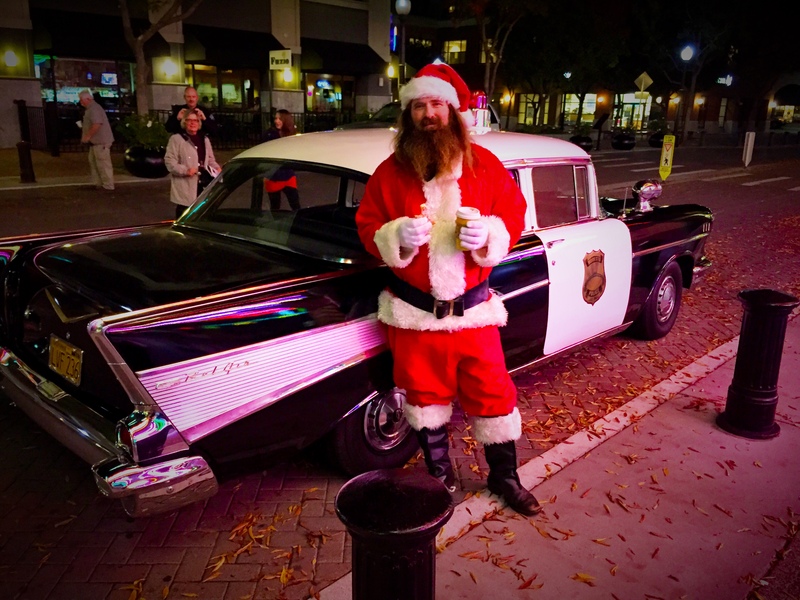 Making 10th Street Plaza a white Christmas, Rockin’ Santa will be there and his rocking 1957 Chevy sleigh. Don’t forget to get your picture taken with Rockin’ Santa and his pin-up elves and yes indeed, it will “snow” in the plaza! With roasted chestnuts and hot cocoa candy cane lighted trees and beautiful wreaths will lining the streets for your merriment, ModestoView is so excited to bring everyone holiday cheer. We will be extending our holiday lighting throughout the month of December. Santa’s sleigh will be in the plaza on the holiday days of December 11 12 13 18 19 and 20th from 5:30 p.m. To 9:30 p.m. Weather permitting. I have heard we are the city of giving whether it be to the homeless or a charity. 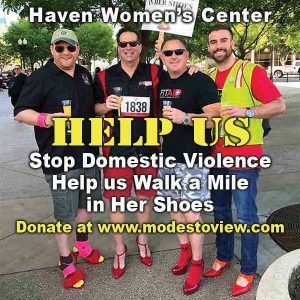 ModestoView has teamed up with Mary Sallie of Stanislaus Foster Parent Association, in a rally of gift giving to keep our youth warm. Some of our local businesses have joined together to help keep these children warm during the winter months. Will you as a community do your part? Please drop off coats shoes socks hats scarves and mittens at these locations. Direct Appliance on 2424 McHenry Avenue, Keller Realty Group 1001 Sylvan Avenue suite B, Electric Fox tattoo 418 15th Street, Gottschalks Music 133 Burney Street, TALK of the TOWN 12 15 th Street, Deva Cafe 1202 J Street, Tresetti’s 927 11th Street, Tangled T’s Hair Studio 408 Downey Ave, DID 1022 J, City of Modesto Doubletree building 9th Street Street, Chamber of Commerce 1114 J Street, Dale’s Guitar Olive Street Turlock. So much appreciation to all of our local businesses and our community for sharing the gift of giving in this holiday season! We hope to see you all in the plaza with cheer and laughter! Thank you for all of our wonderful sponsors as well for making Modesto Rockin’ Holiday a truly amazing winter wonderland!! Happiest of New Year’s to our wonderful community! !